This was a homemade costume. 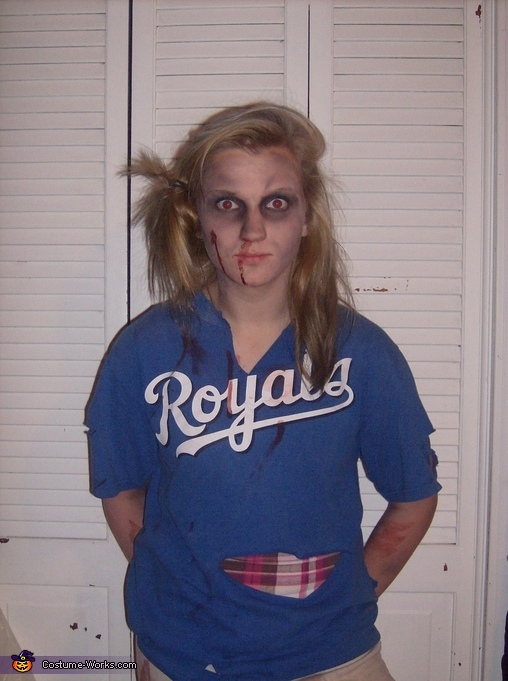 My cousin wanted to be a zombie softball player. It was really easy to make. Just get an old uniform and rip it up. Then put baby powder on your face to make a goulish look. Next, I added cream color makeup to make it look more really. I took just regular black, green, and purple makeup for the eyes and all the brusing. Last I added blood.